Google has (finally!) released two YouTube apps built especially for kids and their parents. 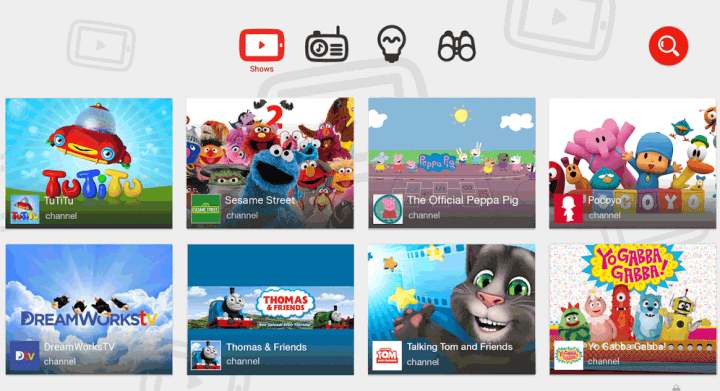 Called YouTube Kids, the app is available as of today for both Android and iOS. Kids have been watching YouTube for years, but parents have perceptually worried about inappropriate content. The apps promise both kid-friendly content from major providers such as Sesame Street, Thomas & Friends, and Dreamworks, as well as controls for parents. Content screening is mostly automated, but Google also uses input provided by parents. If you stumble across inappropriate content within the app, it is easy for parents to report it. Additional parental controls include timers to limit time spent on the app, and the ability to disable search so your kids will not be able to explore on their own. Feldman, Barbara. "How to Make YouTube Safe for Kids." Surfnetkids. Feldman Publishing. 23 Feb. 2015. Web. 23 Apr. 2019. <https://www.surfnetkids.com/tech/3645/how-to-make-youtube-safe-for-kids/ >. By Barbara J. Feldman. Originally published February 23, 2015. Last modified February 23, 2015.